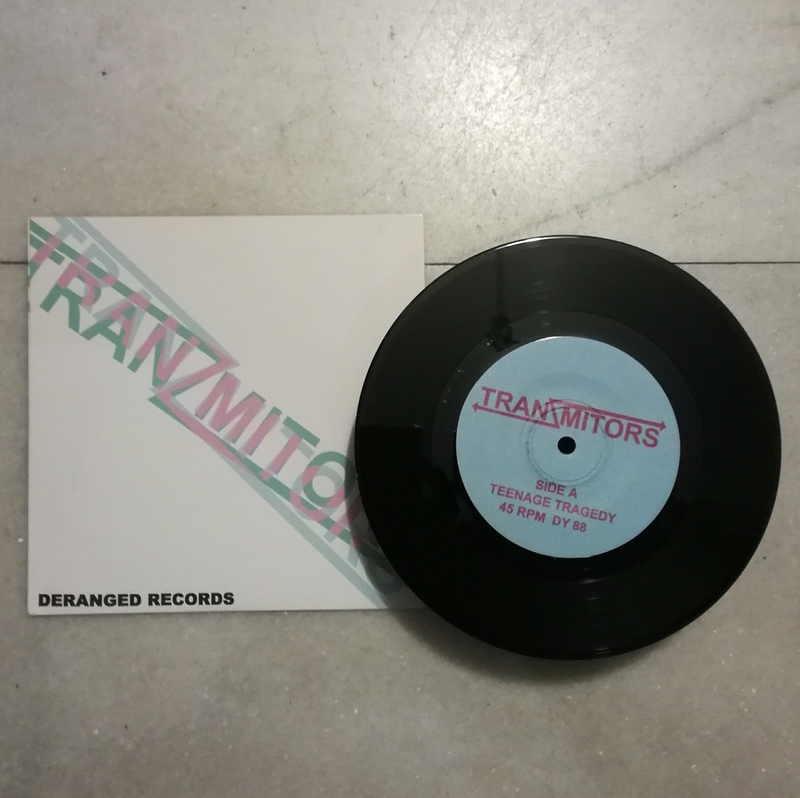 Home › · USED Records - TRANZMITORS - Teenage Tragedy / Invisible Girl 7"
· USED Records - TRANZMITORS - Teenage Tragedy / Invisible Girl 7"
Fourth 7” by these Canadians, and although this isn’t my favorite, it’s still cracklin’. Quick explanation. I like it when they sip from the wellspring of Wire and Gang Of Four. This, and it’s definitely not a fault, but a preference, “Teenage Tragedy” sounds really like The Exploding Hearts, which, still, after this time, is a tough spot to step into. “Invisible Girl”’s Elvis Costello/ early Jam-friendly, and that’s not bad at all either. It’s just that I’ve been left sockless after the first three, and this one would literally have to point a gun at me to raise my hands higher in praise for ‘em. I’m sure if all their released songs were reshuffled as an LP, I wouldn’t have such a strong reaction. Short answer: great band, not my favorite 7” by ‘em… but it wouldn’t hurt for you to pick it up because I have a good feeling about this band….